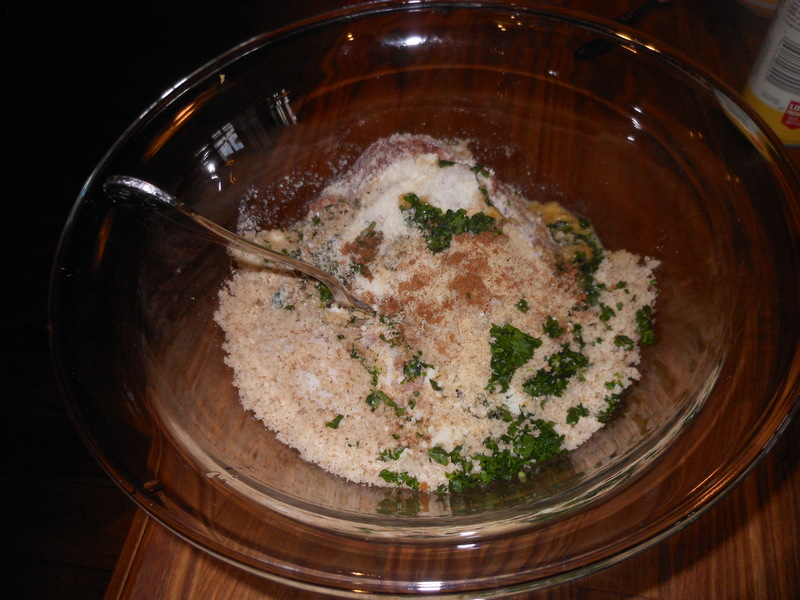 Re-blog Monday and I am re-blogging a recipe from September ’11. 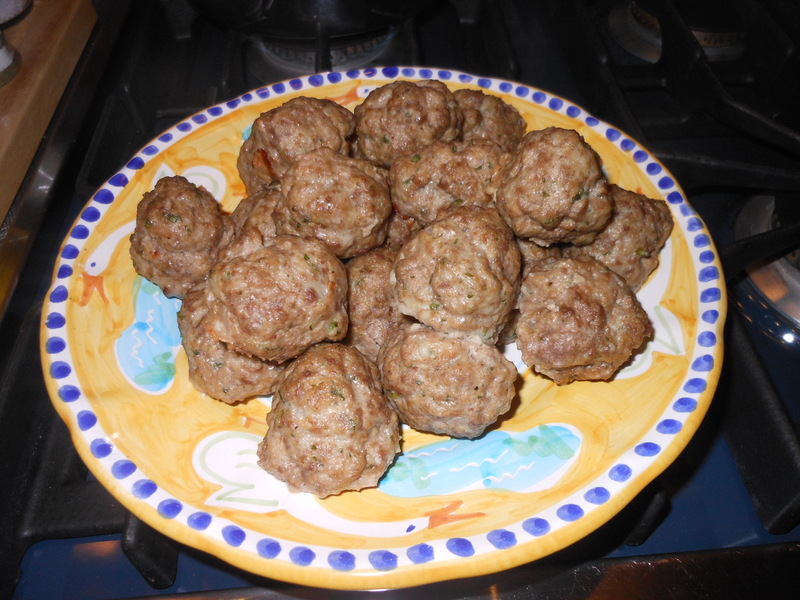 Who doesn’t like meat balls? I love them. This is real comfort food in our house. I love to make extra and keep some frozen for a second meal. Using beef, pork and veal is the real deal, if you’re not into that you can certainly change that to the meat of your liking. I must say with the 3 meats it had a very distinctive old world delicious flavor. You can work with this simple sauce or use any other sauce you’d like. Spaghetti and Meatballs one of my all time favorites. I don’t fry them but if you’d like to go right ahead, I prefer baking them.